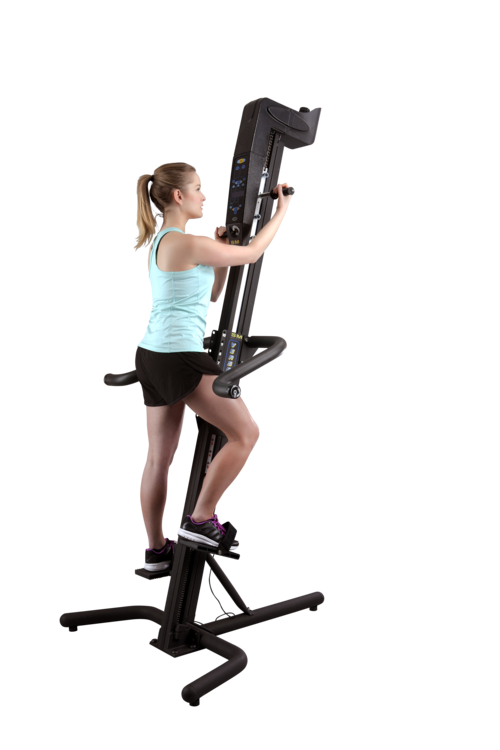 The Versaclimber Sport provides the ultimate climbing-style training regime, designed to continuously engage both the upper and lower body in a zero-impact, high calorie burning workout. Research has shown that a 20-minute Versaclimber workout burns up to 200% more calories than a comparable treadmill workout, and this is because both the arms and legs are working to facilitate the climbing motion. The low impact style nature of training also reduces the risk of injury dramatically, and as a result, the Versaclimber Sport is now the cardio machine of choice of a range of professional athletes and teams from across the globe, in a number of different sports. 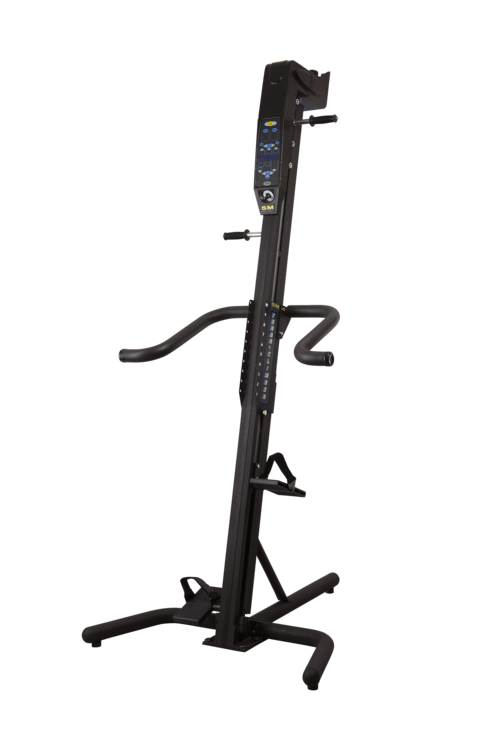 Providing a step to climb ratio of 1:1, the Versaclimber Sport provides a range of resistance options, up to 227kg (550lbs) meaning the machine can be altered to suit all levels of fitness, age, height and weight. Plus, with a small footprint (122cm x 122cm) the Versaclimber Sport takes up very little space which has seen the machine become a staple feature in group training sessions and individual workouts across the globe. The Versaclimber Sport is also Hi-Tri compatible, so you can have the option to train with your friends or training buddies!